The "I am Love" infant rib long sleeve one-piece with gray love symbol, left, is on sale for $32. Photos from http://peaceloveworld.com/. 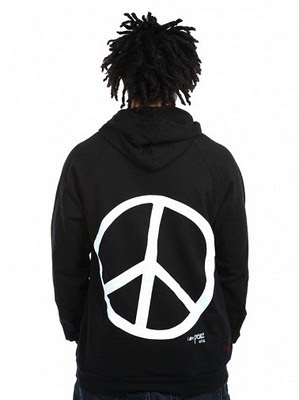 IF love makes the world go around, then Alina Villasante is doing her part in spades through her hot, new Peace Love World collection. 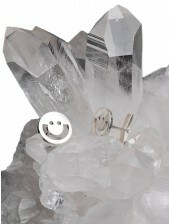 "I am Happiness" cuff links ($100). 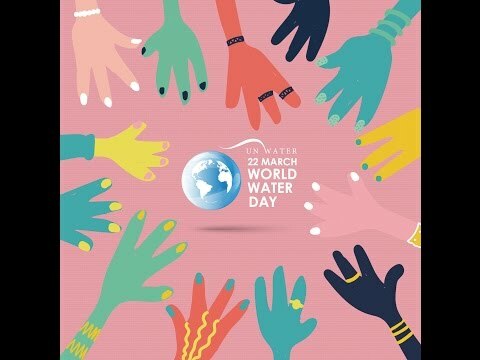 While those outside of Miami may not know her name, they may know her brand or know someone who has worn a T-shirt, yoga pant or hoodie bearing the words, love peace, world or a symbol for those words. Keen-eyed TV viewers may have recognized her line on both “So You Think You Can Dance” and “Dancing with the Stars.” Broadway musical lovers might have had a chance sighting at a show on the “In the Heights” tour. Word is that Taylor Swift and Ellen DeGeneres are fans of the line, too. 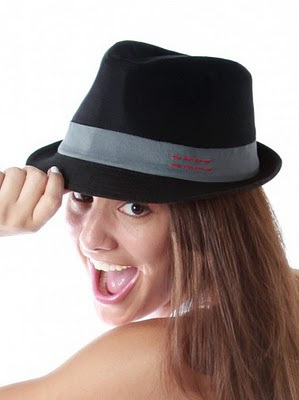 Black fedora with four red embroidered lines, representing love in English and in Spanish ($30.40). Every garment in the line (http://peaceloveworld.com/) bears the familiar Peace Love World logo represented by the peace symbol, love symbol and happy-face symbol for happiness, and by extension, world. All garments also bear a quote from AV, “love is not something you look for, love is something you become.” Embroidered into many are two rows of four narrow line that represent the words for love in both English and Spanish. AV is not only talking peaceloveworld she is doing it by supporting a number of good causes, Haiti Relief and Susan G. Komen for the Cure, among them. "I am Love" black bohemian pants ($70). The lovefest started when AV was a teen with a passion for people and fashion. The current iteration began to get its legs in 1999 with the debut of “The Love Party,” a soiree the Havana native and Miami (by way of New York/Atlanta) resident organized for the special women in her life. In a moment of creative exuberance she designed an “I Love Alina” T-shirt for guests at the 2006 party. It was a hit, and she went on to design a new T-shirt in each subsequent year. 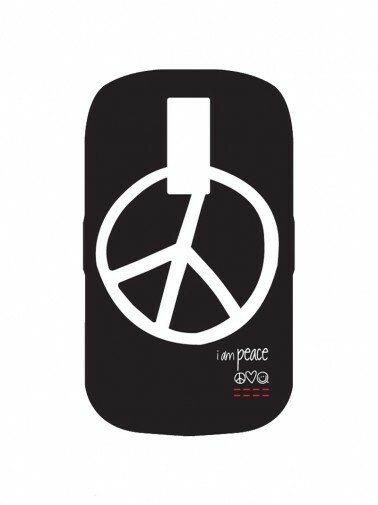 "I am Peace" Blackberry cover in black ($17.60). Eventually, word reached the Web, and the Peace Love World collection was launched from a series of "I am" T-shirts to what it is now. Formerly partners in an aviation concern with her husband, AV opened her first store last June in Miami; a second opened at Boston’s Logan Airport in April. Is there any doubt that other major cities will get some Peace Love World? Other words used in the line are grateful and thankful. Appearing, too, are blessed, symbolized by a cross, and free symbolized by a bird. AV has grown her business from a women's T-shirt line to a lifestyle brand of men’s, children's and women's clothing, jewelry, stationery, party paraphernalia, footwear, yoga wear, gadget accessories - many currently on sale. Even a bed for the dog to lay its head.